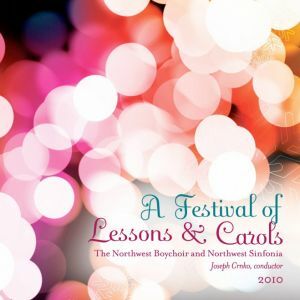 For nearly 40 years, the Northwest Boychoir has performed A Festival of Lessons & Carols as the centerpiece of its holiday season. Beginning with a single performance in 1978, A Festival of Lessons & Carols has become an eight-concert series presented throughout the Puget Sound region. 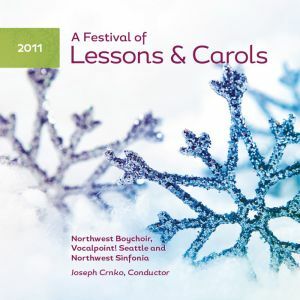 Classical KING FM recently named A Festival of Lessons & Carols one of the “Top 10 Seattle Concerts To Attend At Least Once.” We are honored by this distinction and privileged to be able to share our music with thousands of music lovers throughout the greater Seattle area. 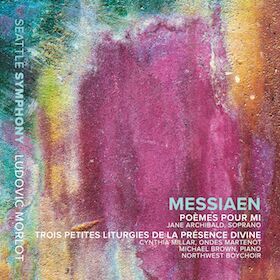 This CD is a collection of live performances recorded in Seattle’s beautiful Benaroya Hall in December 2015 and 2016. We hope you enjoy this music, and that it helps make your holidays more joyous! Live at Benaroya Hall, December 22, 2015 & December 23, 2016.